Consumer magazine Which? is recommending that motorists check their tyres are properly inflated to help save cash at the pumps, and have a positive impact on road safety. Which? says that motorists can make their vehicle more fuel efficient, by making sure their tyres are properly inflated. The magazine advises that motorists should make sure that their tyres are at the correct pressure – as stated in the car’s handbook (or often on a sticker on the driver’s door pillar). 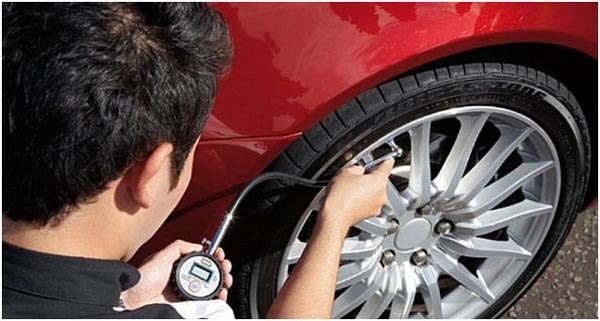 Under-inflated tyres can significantly reduce a car’s fuel economy. Under-inflated tyres can also affect handling and grip, potentially altering the cars behaviour on the road. Mototorists should also be aware if they are using their car to transport additional loads, they must take that into account and ensure that their tyres are correctly adjusted for the fully laden vehicle state. Details of the correct pressures can be found in the vehicle manufacturer’s handbook, inside the fuel filler cap or on the driver’s door sill.